The fish-farming industry in British Columbia has long claimed it is on the side of science. But when the provincially funded Pacific Salmon Forum set out to study the relationship of salmon farms to sea lice in the Broughton Archipelago, industry balked. "Basically they refused to even come to the table and talk," said Larry Dill who, along with the two other members of the Forum's science advisory committee, Don McQueen and Michael Berry, recently resigned. Dr. Dill said he quit out of frustration with the fish-farming industry and with the inability of the Pacific Salmon Foundation to get industry to co-operate. 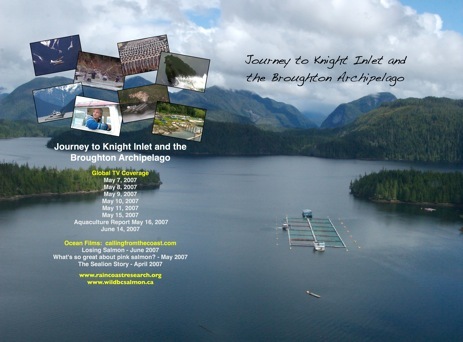 The Pacific Salmon Forum, which was established by Premier Gordon Campbell in large part to bring the rationality of science to the emotionally charged fish-farm debate, is spending nearly $2-million on research projects in the Broughton Archipelago this year and next. 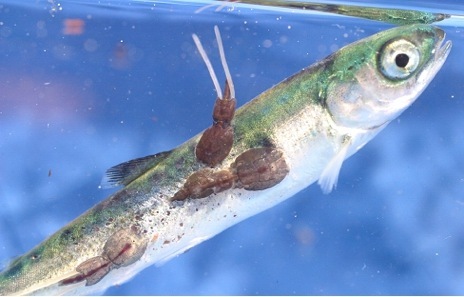 Dr. Dill and his two colleagues were co-ordinating the project, and their aim was to get independent researchers and Department of Fisheries and Oceans scientists - two groups that have often been at odds on the sea-lice issue - working together. Industry was expected to support the project by providing important information about their operations, and by agreeing to fallow some farms so scientists could do comparative studies. "Much of this project required the assistance and co-operation of the industry," Dr. Dill said. "We needed to know from them how many fish were in their pens and how much lice they had and how much chemicals they'd been using to treat them. We basically determined we weren't going to get co-operation from industry. They simply weren't interested . . . and for some reason . . . the Pacific Salmon Forum seemed either unwilling or unable to get them to the table. "So it became apparent to the three of us . . . the hope of bringing this all together in a two-year period with an experimental fallowing period was just not going to happen. At the beginning of May the three of us all resigned . . . feeling that we just couldn't do any more without the co-operation of industry." Dr. Dill said it's obvious to him that industry isn't participating because of fear the science will confirm that sea lice are multiplying in fish pens and spreading to wild stocks. "Really, the farms don't want us to find an answer, let's be honest about that. The answer is one they don't want to hear," he said. "As a scientist . . . I have absolutely no doubt that the farms are causing a problem. And I think all the scientific data that I've seen is virtually unanimous on that point." John Fraser, director of the Pacific Salmon Forum, said that while Dr. Dill and Dr. McQueen did resign, Mr. Berry has remained involved (the Forum website says he is providing field co-ordination) and new members have been appointed to the science advisory committee, which remains in operation. "We know there have been complaints," he said when asked about industry not being supportive. "We've discussed this with industry. I think we're getting support from some people and that's all I'm prepared to say about that." He said the resignations would not bring an end to the Pacific Salmon Forum's research. But without crucial data provided by industry, that research will not be as definitive as it should be. Mr. Fraser is too much of a diplomat to criticize the industry in public, but in private he and Premier Campbell should be making one thing very clear. If industry isn't going to be part of the solution, then it will have to be seen as the problem - and it should be regulated accordingly. Mary Ellen Walling, executive director of the British Columbia Salmon Farmers Association, couldn't be reached for comment. But the industry website has this to say about the topic of sea lice: "As an industry we are committed to continuing to work with regulators, scientists and other interested parties to address this issue." Fine words but they need to add a footnote: When it suits us.